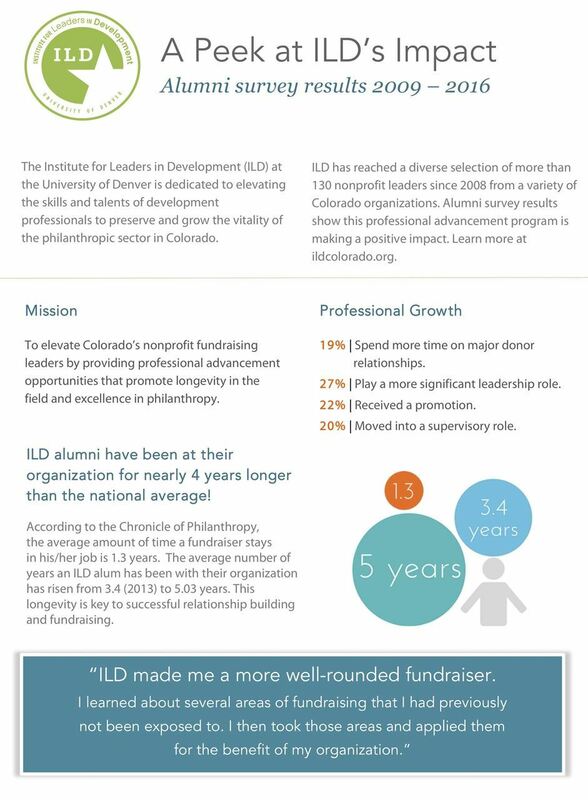 The Institute for Leaders in Development at University of Denver is a unique professional development program that identifies Colorado’s emerging nonprofit fundraising leaders and prepares them for the future. 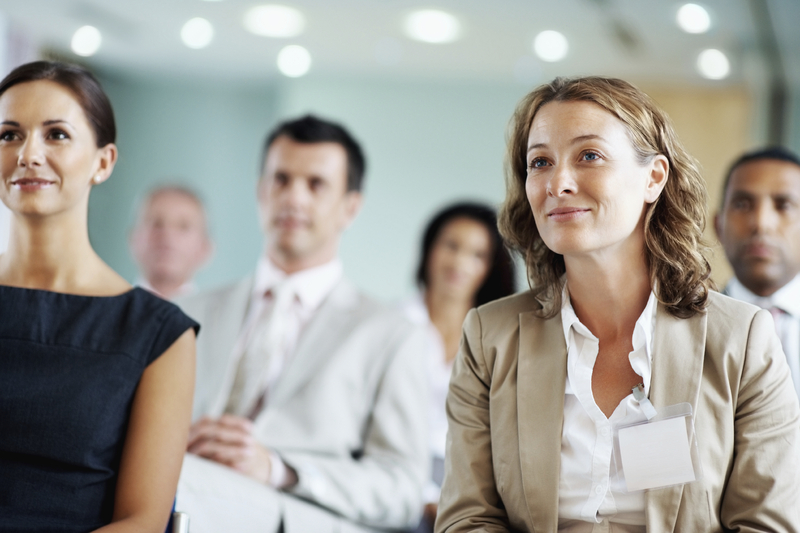 ILD helps create a better community by preparing tomorrow’s nonprofit leaders -- today. We are grateful for the tremendous in the upcoming ILD class. Applicants will receive an email confirmation and information about the next steps in the selection process (4/9). Marking the 10th year milestone, ILD is pleased to share the latest impact report. Learn more about the benefits of participating in ILD. How will it benefit you? How will it benefit your organization? We are thrilled to share this special video with you, which features videos with ILD alumni who share their experiences as well as the value of participating in the Institute.